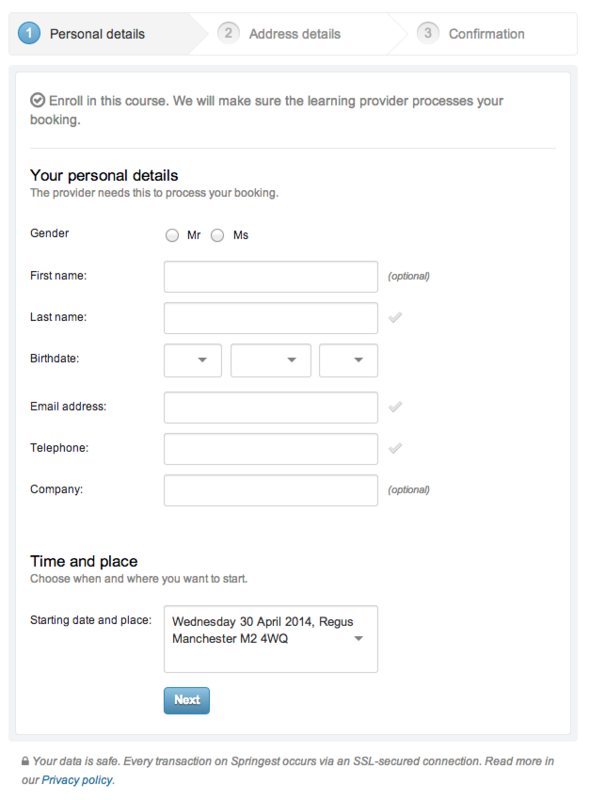 After clicking on the “book now” button you will be forwarded to the booking form. You have to fill it in so that the provider can contact you. If the course has some starting dates, you will have to choose when and where you want to do the course. 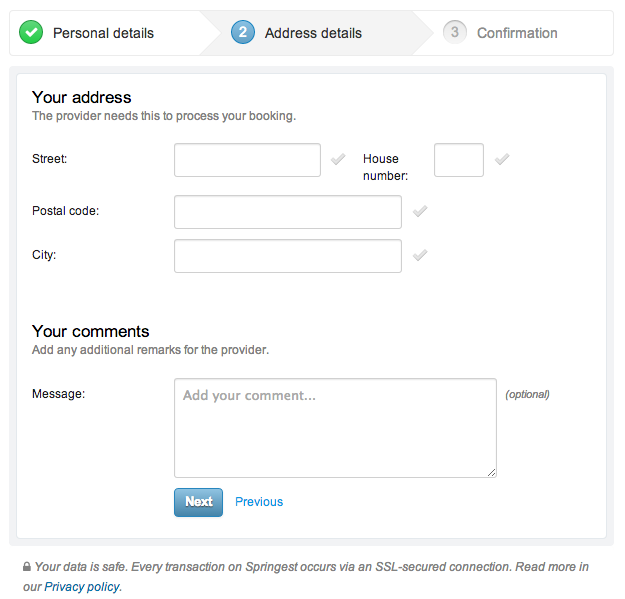 In the next page you will have to type in your address and if you wish you can a comment for the provider. This is your opportunity to tell the provider about your special wishes or questions you have about the course. After this you get will reach the final stage, here you will get an overview of your details and must confirm your booking by clicking on “book”. The provider will contact you to speak about how and when you have to pay for the course. In addition he might give you information about the room and exact address, if this hasn’t happen before. Now your learning can start. We hope you enjoy your educational training and best of luck.